Iran’s female soccer players will be allowed to play for the first time in the country’s largest stadium since the 1979 revolution with the female Olympic soccer to host its Russian counterpart in a friendly, reports say. Football federation Chief Mehdi Taj has told semi-official news agency ISNA the team will play the game in Tehran’s Azadi stadium as part of the run-up to the Tokyo 2020 Olympic Games. Men are banned to attend the match whose date has not been known yet, the agency also noted on Sunday. 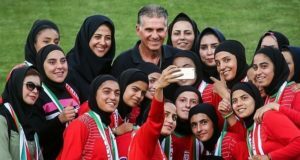 Iranian authorities since the 1979 Islamic Revolution have banned women from attending football matches in stadium but the restrictions have been gradually loosened in recent months. In November, authorities allowed a group of around 850 women allowed to attend the Asian Champions League final between Iran’s Persepolis FC and Japan’s Kashima Antlers. Women were separated from men in the stands and entered the stadium two hours before men. Some women were also allowed to watch screenings of Iran’s World Cup matches at Azadi(which means “freedom”) in June, reports say. 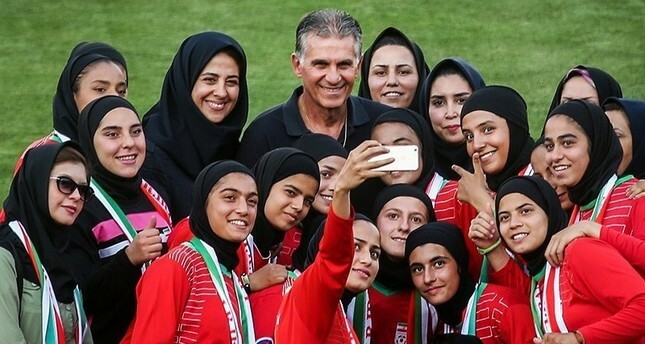 In October authorities open the Azadi stadium to women to attend a friendly between Iran and Bolivia. The prosecutor general castigated the move noted that it will happen again arguing that it would to “lead to sin”, AFP reports. Written by: Jaber Ali on December 31, 2018.on February 13, 2019. Posted by Jaber Ali on Dec 31 2018. Filed under Headlines, World News. You can follow any responses to this entry through the RSS 2.0. Both comments and pings are currently closed.